Amazon may try to disrupt yet another long-running industry: Movie theaters. Bloomberg has reported that the indie-focused theater chain Landmark Theatres is in Amazon’s acquisition sights. Amazon is reportedly one of several potential buyers for Landmark. To pull it off, Amazon would have to make a deal with Landmark co-owners Mark Cuban and Todd Wagner, who purchased the cinema chain in 2003. Bloomberg emphasized that the acquisition is not a certainty just yet and that Amazon could end up walking away. Landmark mostly focuses on foreign and indie movies, serving 27 markets with more than 50 locations in the United States. For reference, there are nearly 400 AMC Theatres locations. Even though Amazon purchasing Landmark would give it only a small piece of the U.S. theater market, it could represent a long-term threat to its more established competitors. AMC (AMC) and Cinemark (CNK) saw their stock prices dip after investors learned of Bloomberg’s report. Amazon entering an industry with an initially small market share is not unheard of. In 2017, Jeff Bezos’s titanic company purchased Whole Foods Market for $13.7 billion. Whole Foods only commanded a little more than 1 percent of the U.S. grocery store market, but Amazon has slowly rolled out benefits for Amazon Prime members in an effort to make it a go-to grocery destination for them. Prime subscribers can get savings at Whole Foods stores and even free delivery in some markets. Landmark, like Whole Foods, is a specialized chain meant to serve a specific audience. Amazon, in theory, could give Prime members reduced ticket prices or other benefits at any of the chain’s locations. One potentially major legal hurdle for Amazon here is that film studios have not been allowed to own movie theaters since 1948. 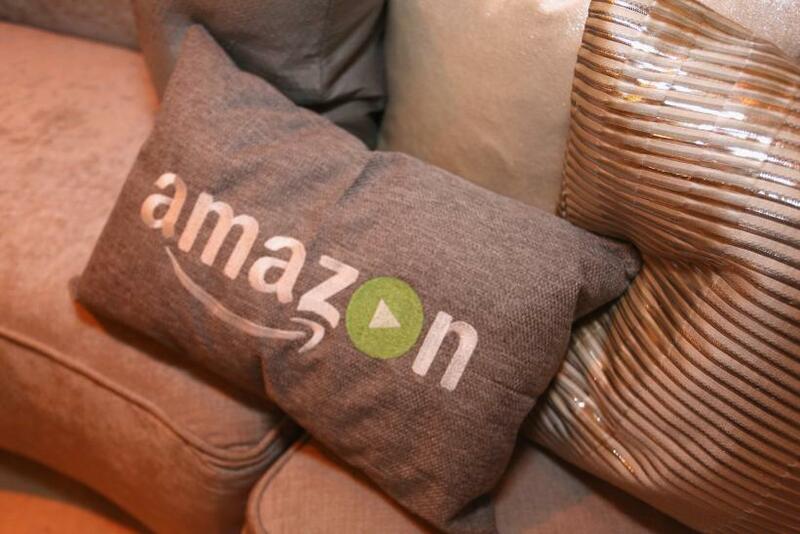 Amazon has a growing film and TV division that releases original content on a regular basis, some of which is critically acclaimed. In theory, Amazon might want to show some of this content in theaters it owns. Earlier this month, the U.S. Department of Justice said it would consider terminating or modifying the “Paramount decree.” The law has prevented studio ownership of theaters on antitrust grounds for 70 years and significantly altered film distribution in Hollywood.